Overview: Our Free Deuces & Jokers Video Poker game is a single hand type video poker machine. It is played with a 53 card deck the extra card is a Joker which is wild, all the Deuces in the deck are also wild. Deuces are cards with a face value of 2. The cards are shuffled before each hand. Deuces & Jokers is most similar to Deuces Wild Video Poker however in addition to the extra wold card (the joker) the payouts are slightly different and Deuces & Jokers has an extra winning combination (Four Deuces and a Joker) which has a monster payout of 10,000 coins! Playing video poker in the online casino games section of an Australian online casino is a good way to hone your poker skills before heading for the poker table. Wild Cards: Deuces (2's) and the Joker are Wild and substitute any other card to make up the best possible winning combination. Winning Hands: Deuces & Jokers can be won by getting any one of 11 winning hands, these are; Found Deuces and a Joker, Natural Royal Flush, Four Deuces, Wild Royal Flush, Five of a Kind, Straight Flush, Four of a Kind, Full House, Flush, Straight, Three of a Kind. 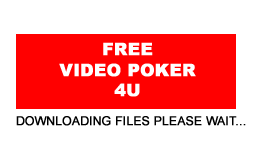 Similar Free Video Poker Games: If you like our Deuces & Jokers Video Poker game you might also enjoy playing our Double Double Bonus Video Poker which offers you even more winnings hands, or maybe you would like to try a game with some wild cards like our Free Deuces & Jokers Video Poker. Alternativly you might like to try playing more than one hand a time if so then why not try our Free Multi Hand Deuces & Jokers Video Poker, which allows you to choose to play between 2 and 4 hands at a time.